Lighting: Superloon by Jasper Morrison for Flos (Price: $4,185.00 for sale from Stardust). Adjustable LED panel light, available in black, white and chrome. 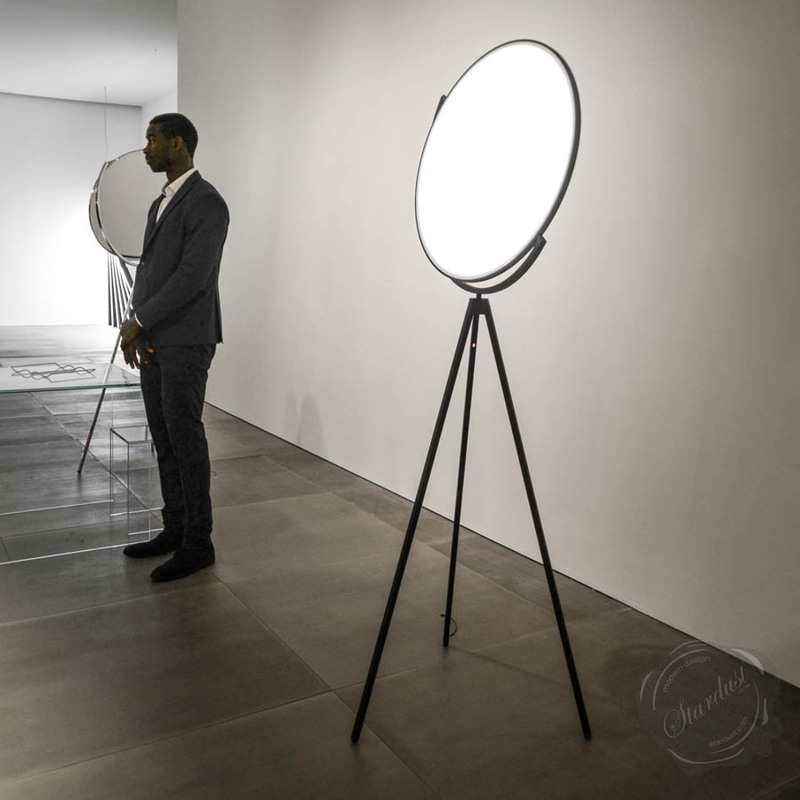 An ode to the moon, this flat disc lighting system rotates 360 degrees for warm ambient radiance that can be adjusted with a dimmer. 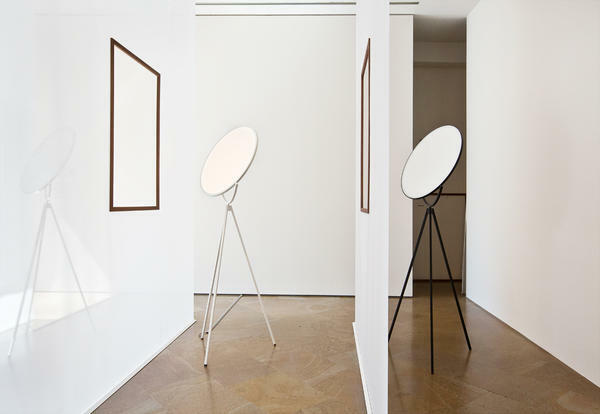 Superloon Floor Light / Jasper Morrison for Flos Superloon by Jasper Morrison coming soon. Superloon is EDIDA (ELLE Deco International Design Awards) award winner 2016 in the lighting category: Inspired by the moon. Superloon appears as an impressive flat disc of light using edge-lit LED technology, placed on a tripod and rotating through 360 degrees. 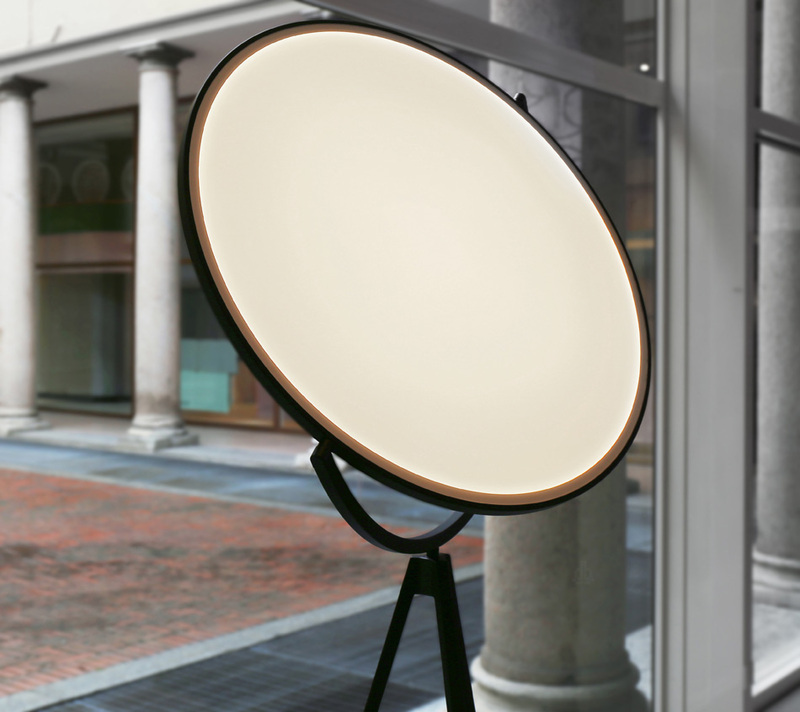 Ideal as ambient light or a reading lamp, the intensity and colour temperature of the Superloon can be controlled using the optical sensor located on one of the legs of the tripod base. The change in colour temperature through the dimming range is achieved through the 'Warm Tone Dimming'. Superloon will be available in black, white or chrome finishing.